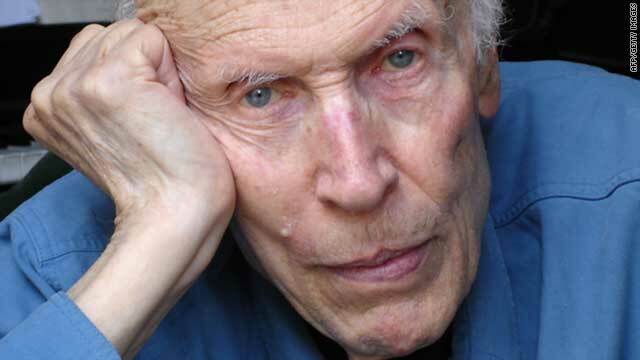 Film critic and director Eric Rohmer in 2007. Best known works include "My Night at Maud's" and "Claire's Knee"
London, England (CNN) -- They revolutionized filmmaking in the 1950s and 1960s, and their influence is still felt today. But while the films of the French New Wave may be timeless, their masters are not. Eric Rohmer, the iconic film critic and director who helped breathe new life into postwar French cinema, died Monday at the age of 89. Along with Jean-Luc Godard, Francois Truffaut, Claude Chabrol and Jacques Rivette, all former film critics, he helped pioneer an informal film movement that turned traditional notions of narrative and style on their head. Using bold and experimental techniques, the innovative auteurs introduced a fresh and personal style that left an enduring influence on cinema. The death of Rohmer will be particularly noted by the contemporary filmmakers who owe him -- and other members of "La Nouvelle Vague" -- a debt. The aftershocks of their radical approach to filmmaking can be seen particularly in the work of a radical group of young American directors in in the late 1960s and early 1970s. The group was known as "New Hollywood" and their ranks numbered Robert Altman, Francis Ford Coppola and Martin Scorsese. More recently, the influence of Rohmer's particular style -- long takes, extended conversations on everyday topics -- can be seen in the films of Quentin Tarantino and Steven Soderbergh. Of the five directors with whom Rohmer is usually grouped, he is the second to have died. Truffaut died in 1984 at the age of 52. Born in 1920, Rohmer was about a decade older than many of his French New Wave peers. He started making films later in life, and was approaching middle age by the time he made his first full-length feature, "The Sign of Leo," in 1959. His best known works include "My Night at Maud's" (1969), which was a hit in the U.S. and was nominated for an Oscar for Best Screenplay, and "Claire's Knee" (1970), a drama about a diplomat's desire to caress a girl's knee. Both were part of his series known as the Six Moral Tales. The lengthy conversations that characterized Rohmer's films also divided audiences: it was considered tedious by some and beautiful by others. In "Night Moves" (1975), directed by Arthur Penn, a character played by Gene Hackman compares watching a Rohmer movie to "watching paint dry." But as French Culture Minister Frederic Mitterrand noted in a statement, Rohmer's approach was "very personal, very original" and capable of attracting a wide variety of moviegoers. Like many of the central figures of the French New Wave, Rohmer was a noted critic and served as editor of the influential film magazine Les Cahiers du Cinema. He directed more than 20 feature films over his career and was awarded the Golden Lion at the Venice Film Festival for his body of work in 2001. He continued to make movies well into his later years. His last film was 2007's "The Romance of Astree and Celadon."